NOVEMBER! How the hell did we get here so quickly?! If you’re anything like me, you’ll be feeling a bit panicky and freaked out that the year just whooshed by like that. The last month has been a pretty active reading month, even though (or perhaps because) it’s been insanely busy. I finished my BA, handing in a 10,000 word manuscript and a 3,000 word exegesis. There’s so much stuff I’ve been putting off reading until those final assessments were in, so in the weeks since finishing I’ve been a bit of a reading machine. The night that all the final pieces went in was also the night that some of my favourite people in the world celebrated their fantastic achievements writing for, editing, proofing, designing, forewording, etc etc, the RMIT Creative Writing Anthology, Little Spines. It’s super-professional looking, full of amazing, inspiring writing, and it’s available at Readings and the RMIT bookshop. Along with all this, I was lucky enough to proofread for Karen Andrews’ new book, Crying In The Car, which launches early December. It’s a great collection of Karen’s essays, blog posts and pieces of fiction and poetry. I loved it, so be sure to pick up a copy when it’s out in December. 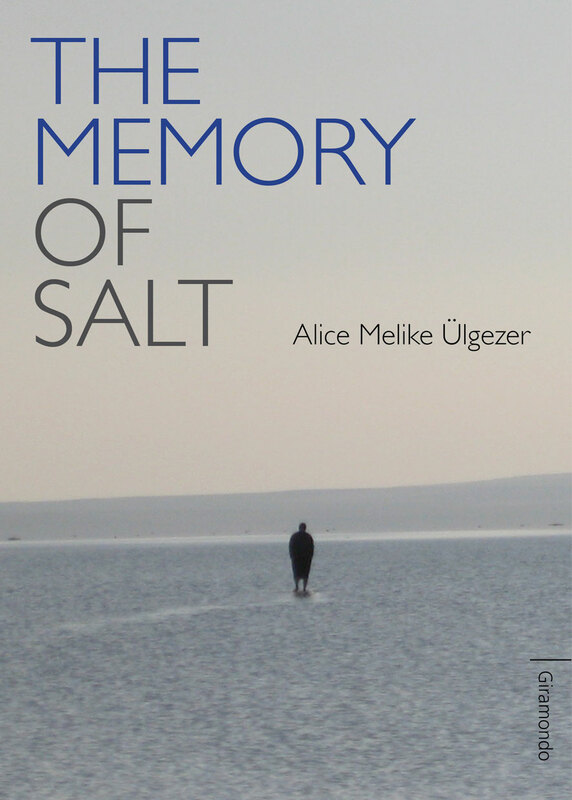 Alice Melike Ulgezer’s debut novel, The Memory of Salt, is organic, human, and above all, authentic. The story is about Ali and her Turkish father (Baba/Ahmet) and Australian mother (Mac). Baba’s life is ruled by mental illness and religion. Mac’s life is ruled by Baba. The narrative isn’t chronological, as we follow Ali’s process from confusion and anger, to understanding and forgiveness. As the narrative shifts about in time, so do those emotions. Life isn’t chronological or one-way like a book, and the structure of The Memory of Salt highlights this beautifully. While I knew next to nothing of the Middle East before this book, I know a fair bit about mental illnesses and the strange (not all bad) things it can do to a family. The relationships that exist between Ali, Baba and Mac are spot-on. They’re truthful and they contain all the anger and unlikely generosity that’s required in that kind of situation. Baba is an infuriating character, but as we shift about in time, learning about the beginning of Baba and Mac’s relationship, its demise, Ali’s childhood and eventual return to Istanbul, we come to love him despite his worse qualities. We aren’t just told that Baba is charming – we are actively charmed. Ulgezer’s prose is a very particular kind of writing. To be honest, it took me a while to get into it – at first it seemed flowery, and intentionally alienating in the way it’s peppered with foreign words, often without translations. 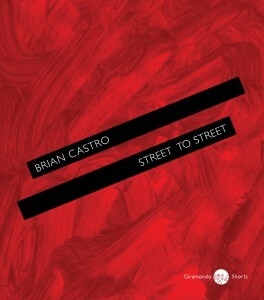 However, once I’d gotten into the rhythm of the writing, it became part of what makes the work so distinctive. And by the end of the text, I’d pick up a few words of Turkish. It’s similar to the kind of gear-shift your brain does to read Jane Austen. At first all the clauses are confusing and seem verbose, but when you’re in gear you get entirely sucked into that world, and it’s great fun. The book’s layout is organic, with no chapters and only page breaks indicating a shift in time or place. For the story, this works well, totally immersing the reader in the world of the novel. However, for the reader who reads fitfully like me, this can be disruptive. There’s no clean place to put the book down, and it really requires a few long sittings to be read properly. Don’t let this stop you, because it’s a rewarding read (in terms of ripping your freakin’ heart out, in the best way possible), but it does do best when you’ve got the time and space to dedicate to it. Just a side-note on the physical book: it’s beautiful. As with all books from Giramondo (publishing company), the production values are really high. It’s a little wider than a regular format, the type is well-spaced on the page, and there are perfect margins to stop you from cracking the spine. The fact that it feels so good to hold means it’s easy to not put it down. As a reader, you need to invest a lot in The Memory of Salt, getting into the rhythm of the prose, spending long periods of time with the text. This pays off though – Ulgezer’s knack with both place and human relationships is well worth the effort. **A note added later: I just read a Q&A on Readings’ website with Alice Melike Ulgezer, and she talks about how Ali’s gender is never revealed. Isn’t that strange, how I took Ali to be female? Is this because I am female? How did I not notice this? Gosh. Having been cheated on, poet Mia retreats first to “temporary psychosis”, and then to the small town of Bonden. This is where her mother lives in a retirement home, and where Mia comes to know and love the small community’s members. The characters we meet in Bonden are fully-formed, convincing people who live lives outside the pages of the novel. The doubled-over Abigail, whose “secret amusements” buoy Mia’s spirit. The group of seven young poetesses that Mia teaches to express themselves, and eventually to understand one other. Lola and Flora, mother and daughter under the tyrannous rule of husband/father (and Mia’s next-door neighbour) Pete. The connections that Mia makes with these people during her stay in Bonden are what holds this book together, but they’re not all the book is. Siri Hustvedt is clearly a well-educated woman with a very active and working brain. 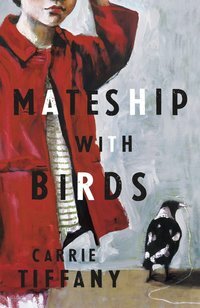 She casts a wide net with her protagonist’s musings, from Neitzsche and Husserl, to the male/female divide and the nature of memory. Mia’s ponderings are of a specific sort, and it’s clear that Hustvedt has given thought to her protagonist’s concerns, thinking about Mia’s life experiences and where she is currently in her life, and how this would affect the things she particularly relates to. Indeed, Mia’s thoughts aren’t just from the point of view of a poet, but from a poet who is married to a neuroscientist and mother to a now-grown young woman. Quite intellectually challenging ideas are presented accessibly, but also appropriately. 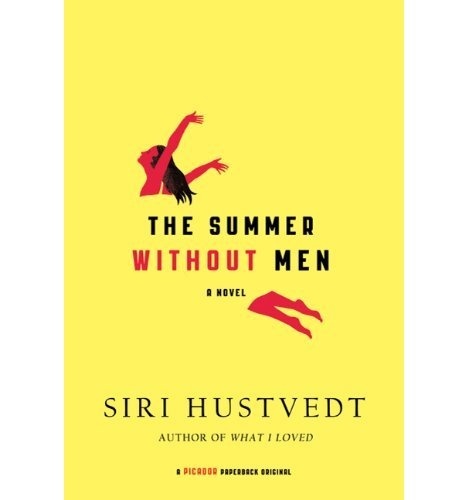 At no stage do the characters become mouthpieces for Siri Hustvedt to show off her smarts, nor do said smarts stick out from the narrative as inappropriate – the characters and the theory stuff always work hand-in-hand, commenting on one another, strengthening each other’s credibility and aliveness. The emotional content of the book sings just as much as the intellectual – the two are not mutually exclusive and they wind together in the prettiest way. In particular, Mia’s thoughts on her time in a psychiatric ward are considered and insightful. Siri Hustvedt’s prose is beautiful. When I read passages I particularly enjoy in a book, I tend to write them down. I started doing this in The Summer Without Men, but a few pages in I realized that if I kept this up, I would just end up transcribing the entire novel into my notebook, so I might as well just sit down and enjoy the damn thing for what it is. It is beautiful. With the extra day in February this year (a leap year), I’d convinced myself I’d have the upper hand and be able to read an extra book this year… Perhaps a whole book is a bit ambitious, but I am about a hundred pages ahead of where I’d be without the 29th of February. So thanks, Leap Year. It’s been hard, but I have managed to stop myself from buying new books constantly. I’ve still “bought” a lot of books, but my book-buying budget’s reasonable now. I bought a book I want to review for the uni magazine (the new Daniel Handler – aka Lemony Snickett), as well as a weight-loss book. I bought books I need for school, and was quite impressed that the total cost of this semester’s texts came to a grand $39. Anything else that came in was a reading copy, a gift, or a used book. The lovely director of the Emerging Writers’ Festival, Lisa Dempster, is leaving Melbourne at the end of the year. In preparation, she’s selling all her books. They’re cheap, in good nick, and there’s still quite a list up there. I picked up five books from Lisa for $20; three books I’ve been looking for cheap copies of for a while, plus two random grabs. Not only will you be buying good cheap books, you’ll be helping Lisa downscale and get some cash together for whatever adventure she takes on next. (If you’re not familiar with Lisa’s adventures, try here or here). One last note on what’s come in: I started a book-sharing group, and it’s been pretty well-received. I made a Facebook group of my friends that I know like reading and have a lot of books like I do. Whenever we come across a book we don’t feel the need to hang onto any more, we post it to the group for another book-lover to adopt. The books in the “gifted” section this month came from that group. If you’re in a similar position to me and my friends (toooooo many books! But we all still want more…), I’d recommend giving something like this a try.